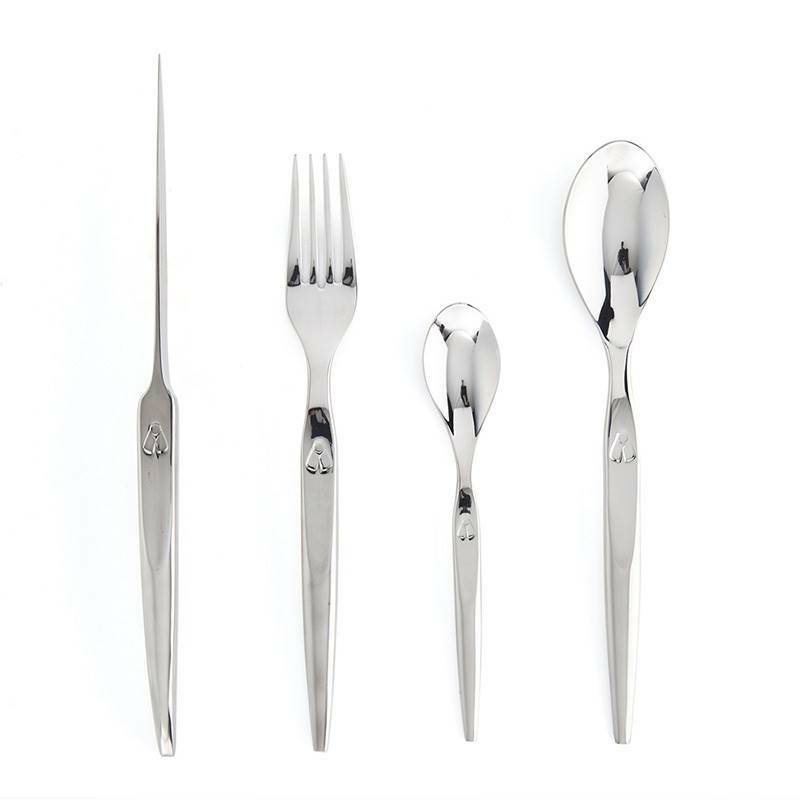 Inspired by the traditional lines of the famous Laguiole knife, this flatware displays a recognizable shape and look at first glance. The Design and Creation department of the French knife maker Tarrerias-Bonjean reinvented this emblematic style in a contemporary and original manner. 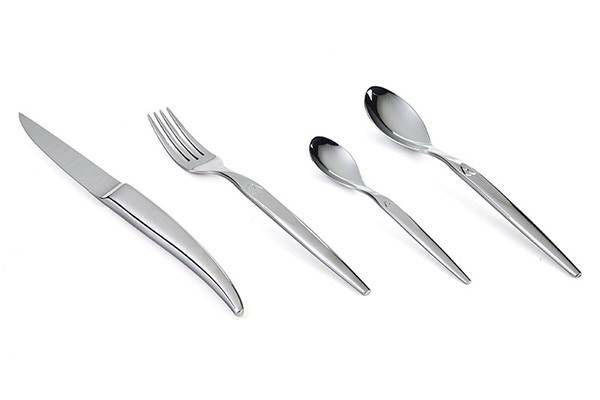 With this Laguiole Evolution Heritage cutlery set, the company signs a know-how passed on through generations. Displayed in a handsome box, this Laguiole Evolution flatware is entirely forged in a high quality stainless steel with mirror polish finish, which ensures unrivalled solidity and longevity. The blades of these knives are micro serrated to cut all meat with precision without any re sharpening. 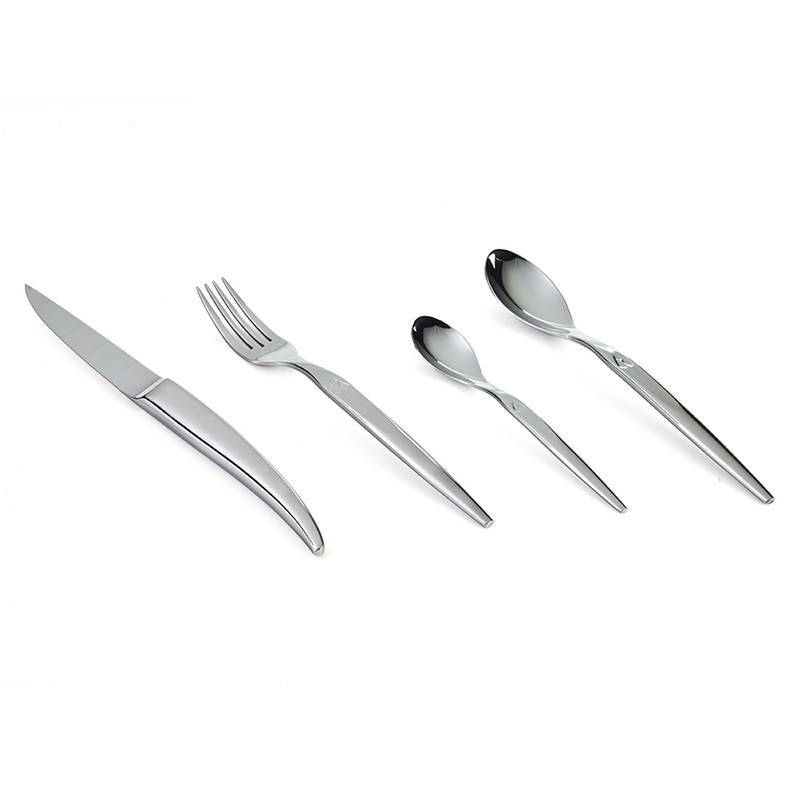 The mirror polish aspect of this flatware guarantees this Laguiole Evolution cutlery set an elegant look, which makes it a prefect gift for all gourmet amateurs.